Discussion in 'Builder's & Retailer's Forum' started by Fuchsaudio, Dec 8, 2016.
tonyhay, apalazzolo, Trebor Renkluaf and 1 other person like this. those knobs look cool. I'd love to play one. Thanks, they are aluminum, which sounds better . Actually the OD out and Reverb are concentric so you have adjustable dwell and overdrive tone controls without adding more complexity to the chassis and maintaining the diminutive chassis size. Video demos coming in the not too distant future. Here's a few quick ones we did in the shop recently with the ODS-Classic prototype. Jim S and sleewell like this. It sounds excellent Andy - GAS has hit home again! Congrats Andy! Looks like a great amp. 10 years on, my ODS is still my go-to amp! 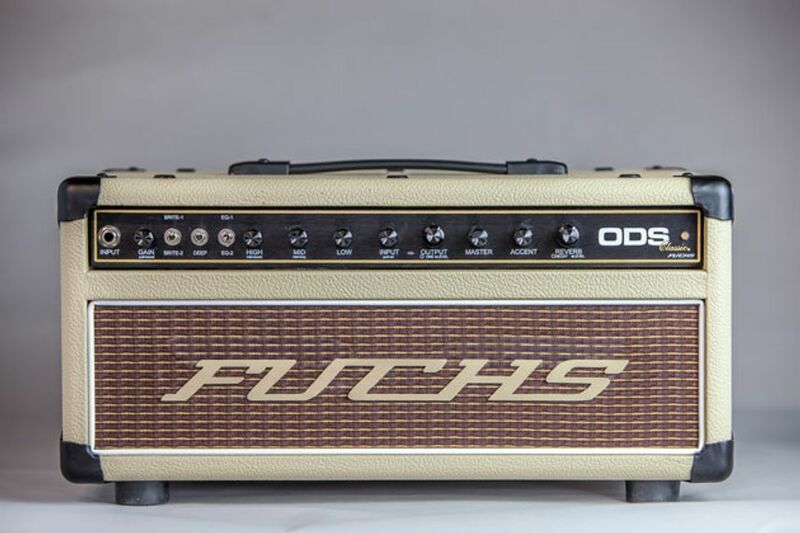 Nine years or so later, and my Fuchs ODS still brings a smile every single time I plug it in. The sound of it never gets old. And now they're even better!